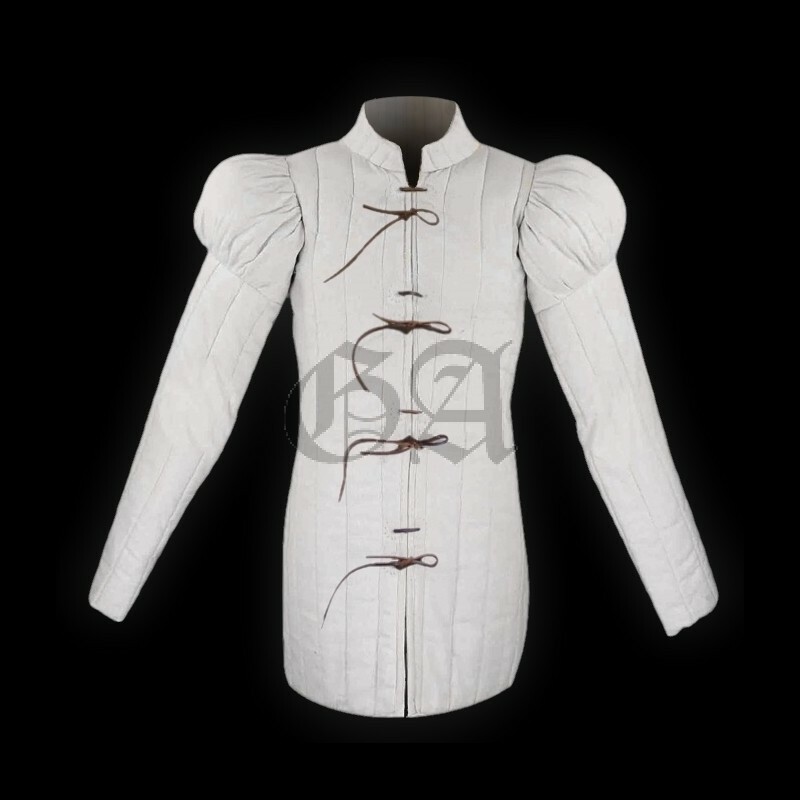 Comfortable and light, this equipment offers a good balance between protection and mobility. 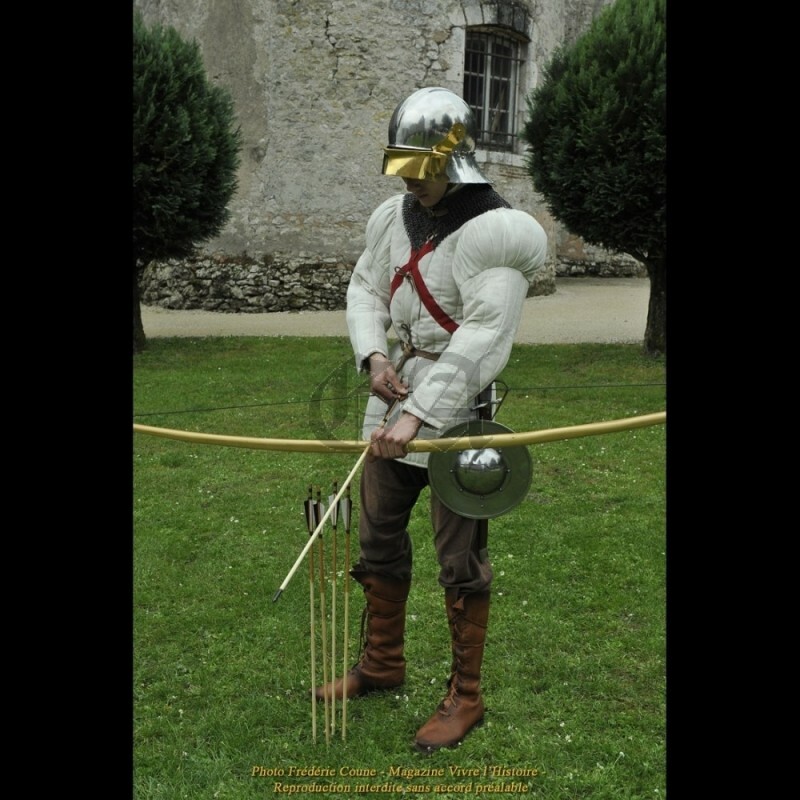 It is the perfect set for companies wishing to equip their young recruits with typical XV century equipments... and of course for all archers, crossbowmen, halberdiers or billmen who want to go to the battlefield with an authentic and credible equipment without breaking the bank. 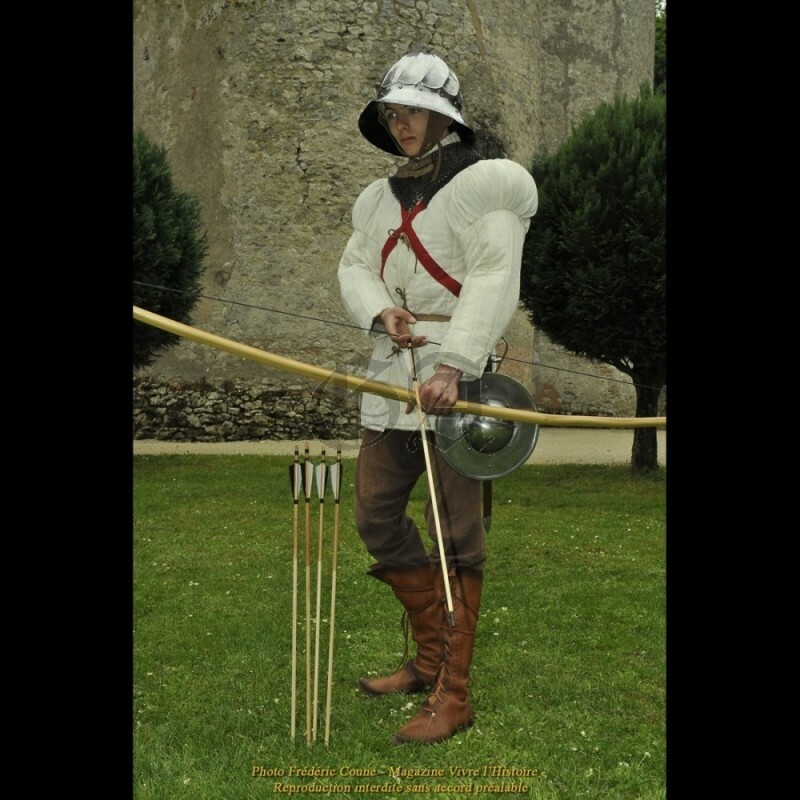 Do you want to re-enact a company of “francs archers” from the Kingdom of France? 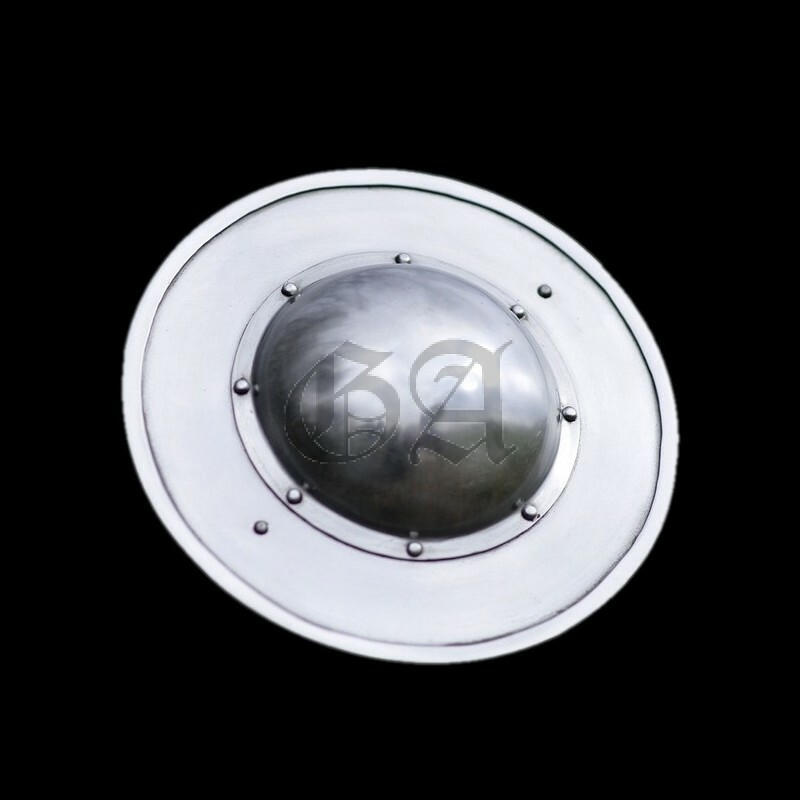 A detachment of militiamen during the War of the Roses? 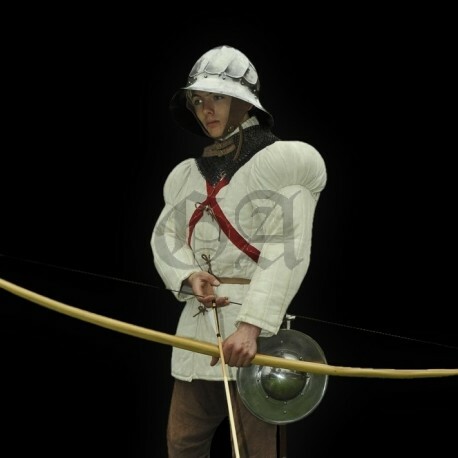 A unit of Burgundian ordinance archers? 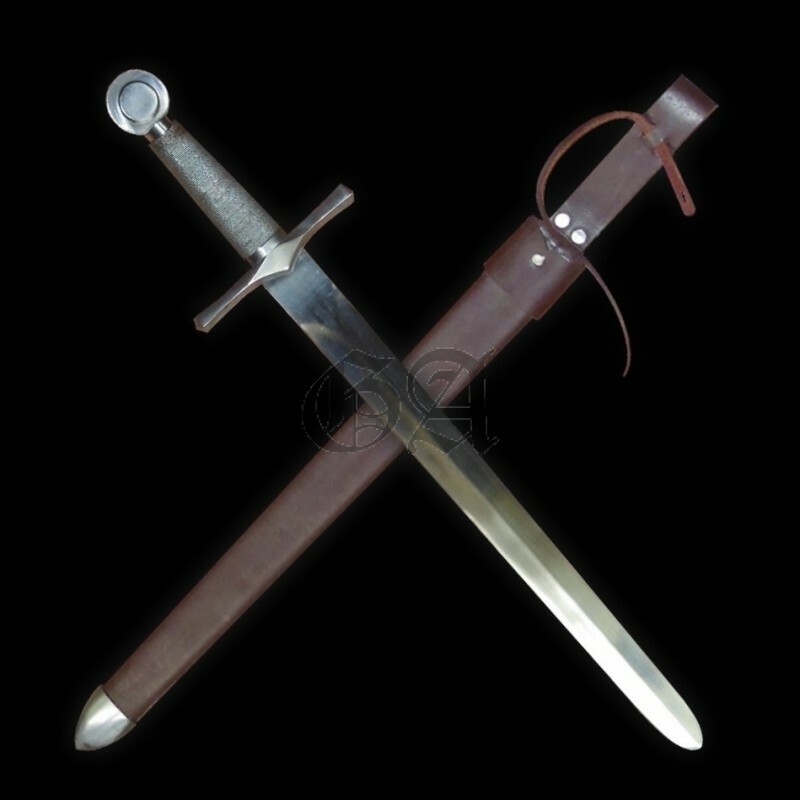 Just sew the cross of your nation on your padded jack and you will be ready to face the enemy on the battlefields of Tewkesbury, Sherkhof or Folleville ! 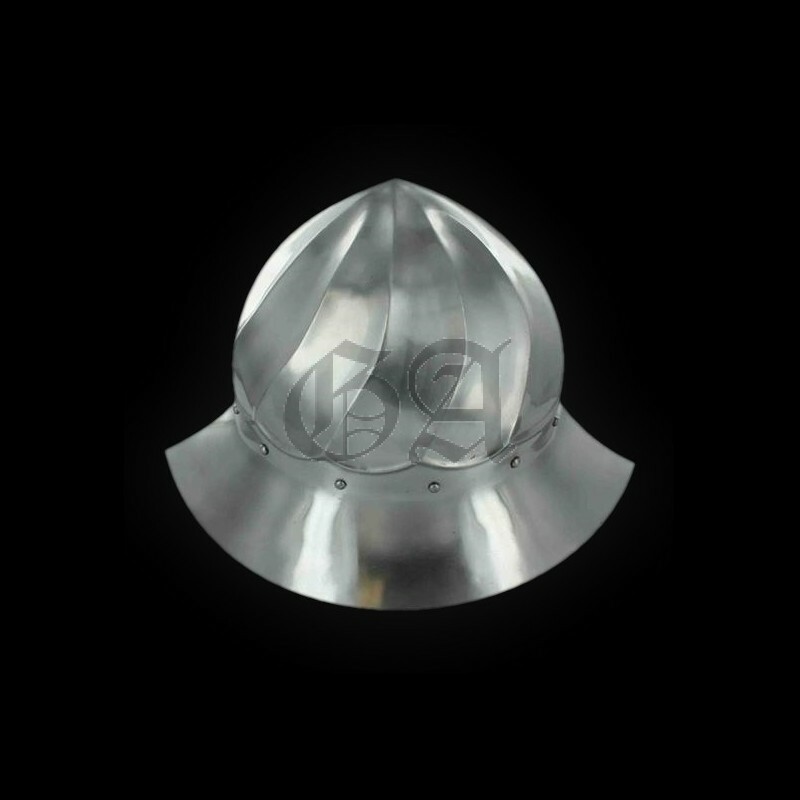 This equipment includes: a padded jack (which offers reasonable protection in most reenactment battles and can be reinforced by jack chains for additional protection), a mail gorget (made of strong 9mm17G riveted flat rings lined with thick leather) a short sword with a buckler shield and a beautiful kettle hat typical of the second half of the XV century (directly inspired by an original now kept in the Metropolitan Museum of Art). 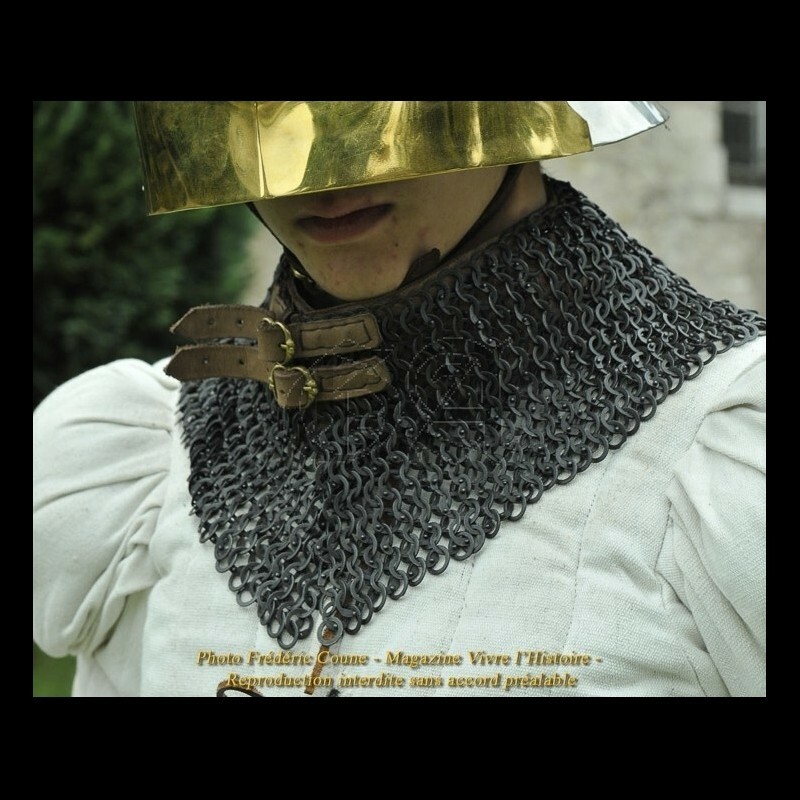 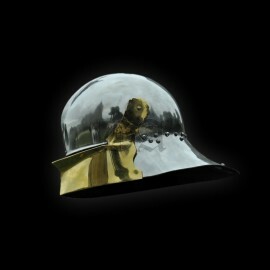 If you wish to reenact the archers or the pages of a great lord’s household, do not hesitate to add more armour and a gold plated sallet like often described in the chronicles and other sources of this era. 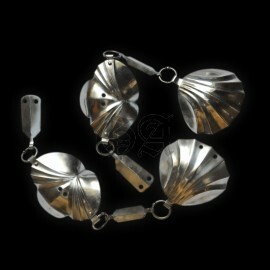 But if you want to re-enact a simple English militiaman, the additional "jack chains" option is not necessary. 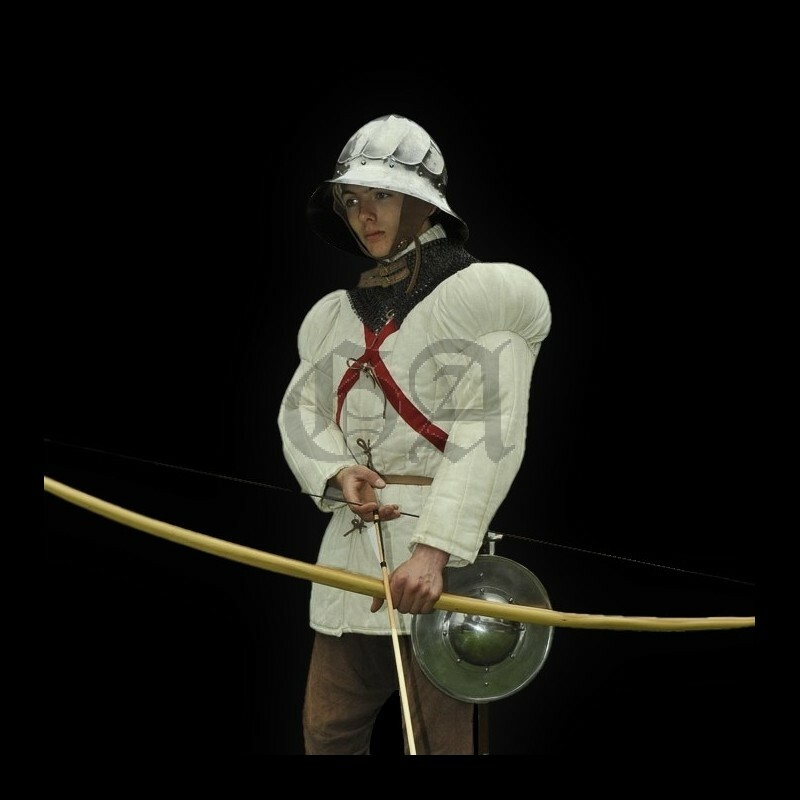 According to the description made by Dominic Mancini about the archers of Richard III, in 1483, they all wear a helmet, a bow and arrows, a sword, always accompanied by a buckler, and no metal armor: only a good jack, as often depicted in many manuscripts of that century. 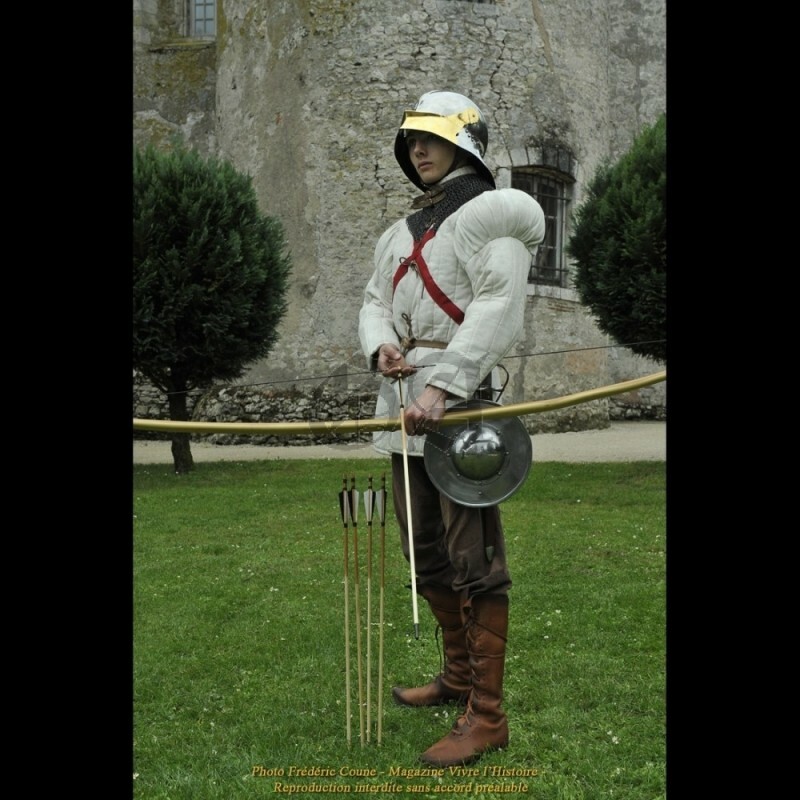 For a more detailed study about the equipment of the English, French and Burgundian archers during XV century, and the relative effectiveness of arrows vs different types of armour, we refer our readers to the article specially written for the second issue of French magazine "Vivre l’Histoire".